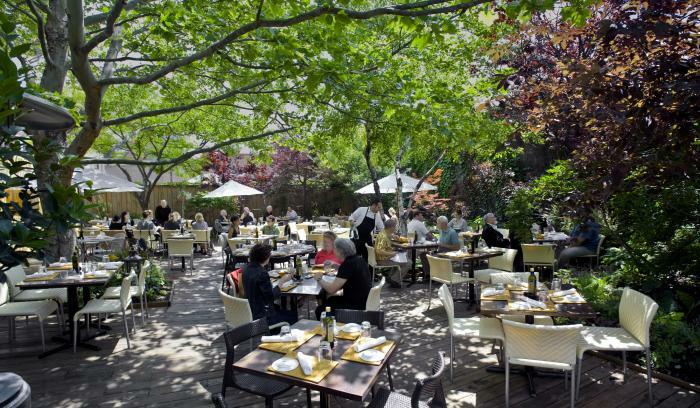 Step outside to experience true summertime dining in the city with five ways to enjoy the outdoors. 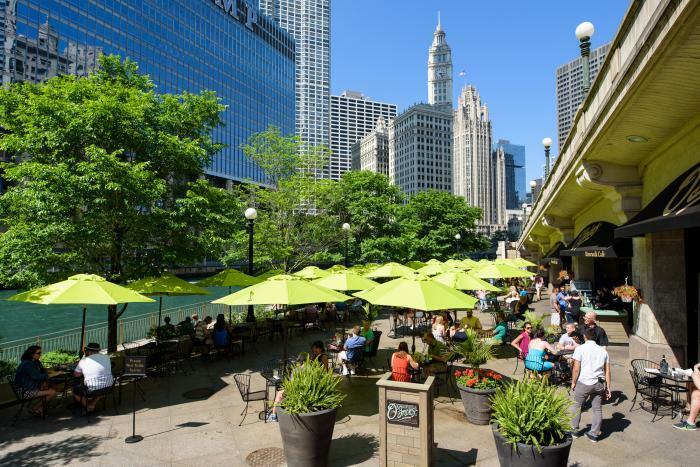 This is your summer outdoor dining guide for Chicago! 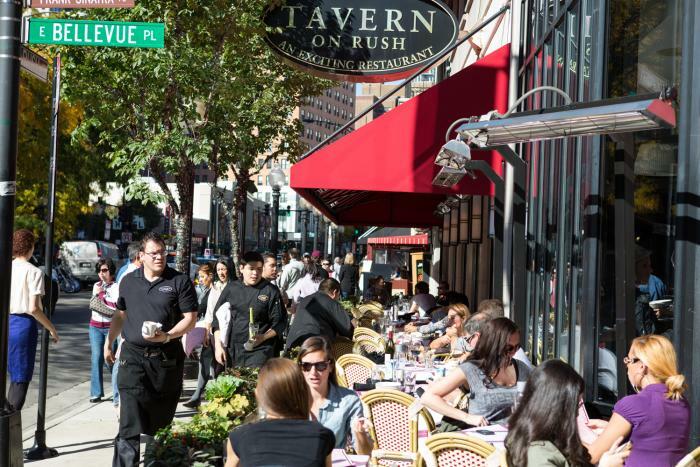 Step outside to experience true summertime dining in the city. 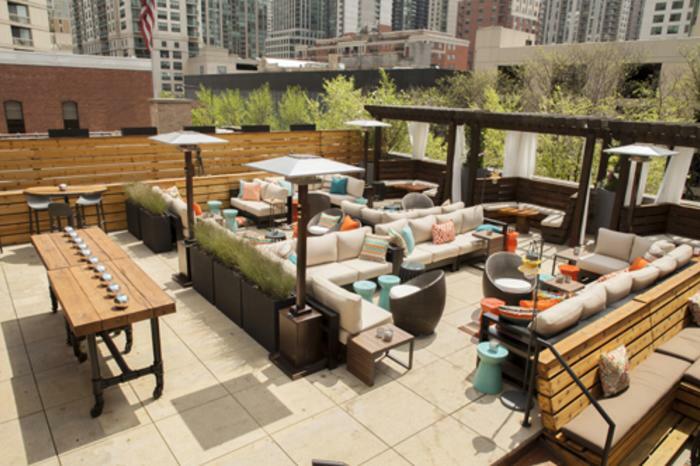 Here are five different ways to do outdoor dining in Chicago, from high above a rooftop to tucked-away patio seating. Why it rocks: It&apos;s uniquely urban, making you feel as if you&apos;re in the midst of a metropolitan jungle. Insider tip: Plan an evening meal to get a glimpse of the city&apos;s skyline all lit up at night. Why it rocks: You can watch the boats and jet skis cruise along the Chicago River as rays reflect off the gentle waters. Insider tip: Don&apos;t be surprised to see locals dock their boats right at the restaurant and hop out for a quick bite. Why it rocks: With its jovial patrons and friendly ambiance, it feels like you’re attending a big backyard barbecue. Insider tip: Drink like a local and order a Chicago brew like Goose Island, Half Acre or 5 Rabbit. Why it rocks: Warm weather draws out the crowds, making a sidewalk seat perfect for people-watching and feeling a part of the city&apos;s summertime energy. Insider tip: Popular neighborhoods like River North and The Magnificent Mile/Streeterville have tons of foot-traffic. Why it rocks: You get all the benefits of a full-service restaurant while sitting at an intimate sun-soaked table among lush greenery. Insider tip: Many restaurants don&apos;t take reservations for outside seating so consider getting there early to request a patio table, then heading to the bar for a drink while you wait. 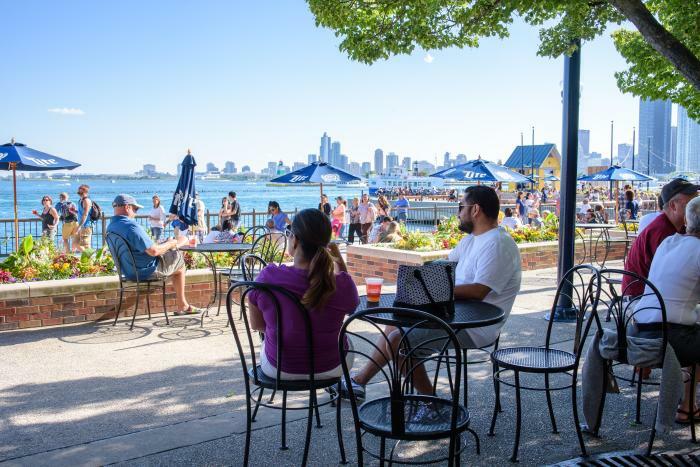 Discover more Chicago restaurants boasting outdoor dining with a view and sign up for the monthly Choose Chicago newsletter for more Chicago travel tips.